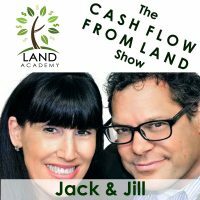 Single Point of Failure in Real Estate Explained by Jack and Jill today. Jack Butala: Single Point of Failure in Real Estate Explained. Leave us your feedback for this podcast on iTunes and get the free ebook at landacademy.com, you don’t even have to read it. Thanks for listening. Jack Butala: Welcome to our show. 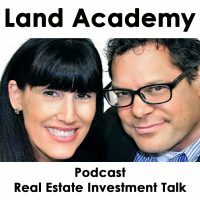 In this episode, Jill and I talk about a single point of failure in real estate explained, and why you never want this really in anything. Before we get to it Jill, let’s take a question posted by one of our members on landacademy.com, our online community, it’s free. Jack Butala: This is a question made for you. I think we’re going to have the same answer on this. Jill DeWit: First thing I would do is check with the county. Jack Butala: Who in the county would you call? Jill DeWit: Probably the planning guys, because they’re the ones that keep track of the roads and everything like that. The assessor doesn’t do that, and the recorder doesn’t do that, and zoning is zoning. Zoning and planning are often in the same department. Jack Butala: Yeah. I would call the recorder first. Jack Butala: Yeah. Go ahead, keep answering. Jill DeWit: This actually is good, because I don’t know why you would … the recorder just is the recording. I mean for them to point you in the right direction? Jill DeWit: That’s a good place to start. Jack Butala: I have never got a deal … here’s my answer. Can I go ahead? Jack Butala: I have never done deal in my life where we changed the description from the grantor deed to the grantee deed. Never, in my life, ever, even if it was wrong. Wrong descriptions, incorrect descriptions, they get recorded through what’s called a deed of correction or a corrective deed, depending on where you are in the country. That’s how they get corrected. They don’t get corrected through conveyance. Jill DeWit: Correct. That was going to be my first point too, you shouldn’t be touching it. Jill DeWit: My first point is yeah, that was really my gut thing was, why do you know this much, number one, and you shouldn’t be touching it. Jack Butala: Yeah. Why do you know this much? That’s my question too. Why are you looking into this deal so much that you know every little tiny thing about this. Here’s the thing Jay, and anybody else, these are very, very good questions, by the way. This is a transaction I would close through real estate, through a title agent, or through an attorney if it’s back east. There better be enough room in the deal for you to afford the $800, because this is a pretty critical issue. If the property gets conveyed to you, and it’s not conveyed properly, and you go to sell it a year from now or 20 minutes from now like we do a lot in this group, and you can’t get ahold of the seller anymore. Let’s say they just went dark, or they passed away, or whatever, this is a huge problem. I would record this with title insurance. Jill DeWit: Let me go back to the original thing too. If this was me, and it was coming to me, and I knew all this, who’s to say that the guy conveying it to me is correct? Jill DeWit: I almost, if it were me, before I buy it even, I want to make sure that the person I’m buying it from gets it all squared away before it gets to me. It should be correct at some point, and the owner, I think the owner probably, at that time, he should easily be able to do this. Jill DeWit: If I owned a property on 123 Main Street, and Main Street is now Elm Way, because they do that sometimes. Jill DeWit: I’ve been at places where they change the name. Then my address is now Elm Way, and I might get a new deed showing my address is now Elm Way. Have a nice day. No one’s charging me anything. Jack Butala: Wait a minute. You lived someplace and they changed the address? Jill DeWit: No. I actually worked somewhere. This is funny. I worked at a big office in Tucson who was for an airline. Jack Butala: Did you just scarf a bunch of food? Jill DeWit: I have a tickle in my throat, so no. No, but anyway, long story short, the street we were on had a lot of vacant land around it. A big company came in, and it was like a Hello Kitty kind of company. I’m not kidding. It was like Lisa Kay, or I don’t know who the person was, but anyway, they came in and changed the name of the street that our big office was on. It was hilarious because all the letters went out. Here’s what you do, when you change a name, you’ve got to notify everybody who uses that address, by the way. “We’re changing it to this,” and get everybody’s, and there’s an X amount of time that you have to voice your opinion, otherwise it’s going to happen. They changed the name. Here I am at this big office. It was like 70,000 square feet, and we can’t have that name, so what do we do? We actually moved our front door. We literally changed our address, and moved our front door off that street to technically, even though we all used that same door, we moved our front door, on paper, to the other street on the south side so that we didn’t have to have that name as our street address, so it can happen. I go back to the seller needs to get it corrected, and all that good stuff. Jack Butala: My first real estate job as a commercial real estate broker in Detroit, our address was on Crooks Road, C-R-O-O-K-S.
Jill DeWit: You can’t have that. Jack Butala: You can’t say that. This is before the internet, so everything got done on the phone, everything. Jill DeWit: Was in Detroit? Was this in [inaudible 00:06:25]? Jack Butala: It was in Troy Michigan, which is a suburb where M&M lives, but that doesn’t matter. Jill DeWit: Crooks road was correct? Jill DeWit: Was there also a Drug Dealer Alley? No, just kidding. Jack Butala: Yeah. Drug Alley and Thievery Way. Jill DeWit: Yeah. Isn’t that a band? Jack Butala: What are we talking about? Jill DeWit: Oh it’s Thievery something else. Jack Butala: We’re talking about this legal description, so please go through title on this stuff. The other thing is this, and Jill and I do it on every single deal, I make sure of it. A lot of people differ on this. If you talk to a title agent, they might some stuff to say about it, but we include the APN, just for everybody’s convenience. Not in the legal description, but somewhere on the document, on the deed that gets recorded, we say, “Hey this transaction is pertaining to APN 123-45-56789.” Then there’s just no discussing it about what [inaudible 00:07:26]. We do that on every single deal, even if it’s glaringly obvious. Jack Butala: I think that answers it. Jack Butala: If you have a question, or you want to be on the show, reach out to either one of us on landacademy.com. Today’s topic is what is a single point of failure in real estate? Let’s explain it. This is the meat of the show. I have a big thing about single points of failure in anything. Let me tell you a huge mistake that I made one time, and it was a single point of failure in computers. Jill DeWit: Oh, I was going to say women, but go ahead. Jack Butala: Yeah, you know what? Marriage, by design, is a single point of failure. You put all your eggs in one basket and let’s see what happens, and chuck them over a cliff, that’s what marriage is. Jack Butala: I had a bunch of servers in an office that I built a long time ago for us to use, and I got this bright idea one time that I would put all the boards and everything in one box, because it’s easier. What I created was a single point of failure, and it failed. Instead of having one fail, and say, well that’s not really tragic because it’s just one fail then there’s four, I’ve got three left. It all failed. The single point of failure failed, and now you’re done. There’s redundancy like in airplanes. There’s more than one engine, there’s a redundancy in large boats, and that’s the reason, so there’s not a single point of failure, so you do not want to have a single point of failure in real estate. You don’t want to just buy property in one subdivision, you don’t want to have just one customer or client that you’re buying property for. You want to diversify this as much as you can. Some properties you want to sell retail, some you want to wholesale, maybe you want to wholesale some houses while you’re selling 40 acre properties on each side of the Mississippi. Whatever it is, do not have a single point of failure where if something happens to that market specifically, let’s say the next time there’s a real estate crash, and there will be one, or a downturn, let’s call it, you don’t want to have all assets in one area that’s ultra effected. That’s my point. Diversify everything. The same thing with stock portfolios or any type of investing that you do. What else is a single point of failure? Jill DeWit: I put down only one deal, overkill, overspending, spending too much. I’m trying to think what else. Jack Butala: I had a single point of failure in my career. It’s the single biggest worst decision I’ve ever made, which is really what this title is about. In 2011-ish, the real estate world died between 2007 and 2011. Worst real estate crash in the country since 1929. In, and of itself, land never goes away, and land is generally recession-proof as long as you’re not financing everything. It almost sunk the ship, because we had a single way to sell property, and it was on Ebay. We were famous for the $1 no reserve. We had a static website, we didn’t sell anything on it, it just had our phone number there, and our policy was never really to talk to the buyer unless they had some huge problems, our phone number wasn’t published, and boy was that a mistake. We didn’t do social media at all. You never want to have a single channel of sales like that. Now we sell it all over the place. Usually we just purchase it, and then we forward the APN to a huge list of buyers, and somebody picks it and buys it. That, even in recession, there’s going to be people that are looking for bargains like we have. Now you just do not have a single point of failure. I cannot stress this enough. Don’t make the mistake I did. It’s a huge sales pitch for us. Not a huge sales pitch, but it’s a huge point that Jill and I bring up all the time when we talk to new members on our weekly webinars and the whole thing. Learn from our mistakes. You can take 10 years and learn all the details yourself, or you can join our group and learn in about three weeks, the stuff not to do. This is one of those things, never have a single point of failure in anything. You know what is another in your life, a single point of failure, your job. What if you loose your job? We hear about this all the time. It’s tragic. It’s all the more reason to make sure we have multiple streams of income. Jill DeWit: A lot of people, I think are in our world because of that. There’s some people that are here learning to do this to replace their job, but a lot of people are here to supplement their income, and give them that breathing room, and create a nest egg, and pay for kid’s colleges, because that’s true, the reality is these retirements, and a pension. There’s companies out there that still have pensions, technically, but that could go away. That sure happens. Jack Butala: I can’t list the number of companies that, blue chip, so to speak, companies like General Motors, where that’s all gone. Jill DeWit: I know. It’s really a bummer. Yeah, that’s the thing. I tell people too, I wrote this down, and then I crossed it off, but now it kind of ties in is don’t leave your day job too soon. Don’t let this be a single point of failure. Jack Butala: That’s right. Don’t let this be a single point of failure. Jill DeWit: You said you talked about on yesterday’s show, you talked to a guy that was getting ready to do that, and we always tell people all the time, if you’re really at that point, you need to have six backups, and all this stuff all figured out, and by the time you have all this stuff all figured out, and you got enough money in the bank, you got steady cash flow, you don’t have to think about that, and now you’re really losing money, sorry I just did that. Jack Butala: You know what? It’s just a cute thing. That’s how you know you love somebody, when they do kooky stuff and it’s really entertaining, and I am not laughing at you at all. I just think it’s cute as hell. Jack Butala: If someone else did it, I would be annoyed, but everything you do is cute. Jill DeWit: So yeah, and now you’re really losing money at your day job, really going backwards, now it makes sense. Jack Butala: Let’s think about this philosophically. What other things, by nature, are just a single- You know what? Men, as a gender, are famous for this, because men want to put everything in a machine, and they pray to the efficiency God, and it’s not efficient, I don’t want to do it. Like my server example, you make it so efficient, that when it fails, you just stare at it and go, “It was perfect.” You have to have redundancy. You have to try new stuff. You have to constantly try new ways to see property. I was the big, Facebook, I was so against Facebook. We have new members that come in and say, “I hate Facebook.” It’s all guys, never women. I said, “You know, I hated Facebook too.” I make a big deal out of this. I said, “You need to get a Facebook username right now. Do not stay in contact with the people in high school. I know that’s what you think this is all about. Don’t.” I removed everybody that I know socially. I only use Facebook for business. Now there’s a zip code function on Facebook that allows you to really effectively sell property, which no one is using, so Jill and I are doing three large acreage deals that hell or high water, we’re going to prove our point, and sell them on Facebook. That’s my goal anyway. Jack Butala: Jill and I, this is what we do. We teach, but this is what we do. We get a ton of property in, every single day we get properties in, and we have a group of buyers, probably 12-ish that are just hands-down. We’re lazy. That’s what it comes down to. We send out the APN, the state, the county, and the APN, and somebody on our, we call it an A list, buys a property. They wear the money. Jill DeWit: Lazy or brilliant? Jack Butala: I don’t know. We could get so much more juice out of going the distance, and doing all the engineering, and putting the whole thing together I think. Jill DeWit: Wait a minute. Why? I double my money and I get out. That’s really not crazy. I think you say lazy, I say brilliant. Jack Butala: It is brilliant, but you know how they say, “Do what I say, not what I do.” That’s not right. Jill DeWit: Everybody can see what we’re doing. Jill DeWit: All that, so that’s very true. It’s still going on in the background, but we’re not making it publicly known. Jack Butala: Right, that’s exactly right. I’m getting some flack for that lately. Jill DeWit: That’s the whole thing, so we do need to do that so everybody can see our deals. I appreciate that. I like your single, what other single points have, you’re right because you don’t want to have, it’s like if you have, here’s a single point of failure, it’s really silly. What if you have everything on your one computer and you don’t back it up anywhere? You don’t have it in the cloud or anything else like that. 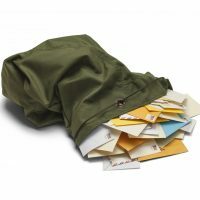 Have we all lost documents of things like that in the past? Heck yeah. Do we do that anymore? Boy, I sure hope not. We don’t. Jack Butala: Here’s a single point of failure that most of us can’t do anything about, our electricity. If we were kooks we would have solar panels on, kooks like one of Jill’s friends, he’s got solar panels and stuff, and he uses both. Jill DeWit: Who are you talking about? Jack Butala: John, you’re crazy. Jill DeWit: Oh generator John. Jack Butala: I wish that was the only crazy thing about John. There’s lots of crazy stuff about John. Jill DeWit: He’s smart, he’s really smart. Jack Butala: We love John. Jack Butala: When you really start to think about it, because it gets a little freaky. I’m not joking about marriage, that’s a single point of failure. That could sink the ship. If your partner wakes up one day and says, “You know? You’re not the person for me. I want out.” That could sink the ship. Jill DeWit: What about in real estate? What about if you only have one product type, and you never really learn anything else? Jill DeWit: What if you never expand? You know, I’m reading a wonderful book right now, and it’s about our minds. I just started this book, and I can’t wait to share it with you Jack, because by always being open to new things, your mind is constantly evolving. If you get in a rut, you stand a higher chance of, what’s the word? I can’t remember the word. Jack Butala: Maybe you suffer from memory loss if you continually have an open mind. Jill DeWit: Oh my gosh. Alzheimer’s. Jack Butala: That redefines irony right there. Jill DeWit: Oh my gosh. I could not be more embarrassed right now. Jack Butala: I am not cutting this out of this show. That’s awesome. Jill DeWit: Oh that’s hilarious. I can’t believe I struggled to think of the word Alzheimer’s. Oh that is awful. Well, clearly I need to work on this, but my point was you should always be growing and evolving, and I see our members doing that. They start with little properties, and they go to different areas, and now they’re, think of the number of people that started with us, and they’re buying five acres, and now they’re buying a section. I’m sure when they started, they thought that was just so crazy they couldn’t even imagine it, and here they are actually discussing a section, and how do we do it. Now they’re looking at, “All right, now we’re looking at sub-dividing.” This is the way you succeed. Jill DeWit: You’re not one property type, and like you said, one little area, and “All I do is buy and sell these lots in this subdivision.” No, expand, and it’s going to help you in so many other ways. Jack Butala: Yeah. Flipping property is one thing. Managing commercial property apartments and stuff, or mobile home parks, man that’s a whole different personality and talent. Do you ever notice that? We have no property managers. People that manage property are generally just kind of, I don’t know, it’s just a different personality type. Jill DeWit: Mm-hmm (affirmative). That’s tougher. That doesn’t sound fun to me at all. Jill DeWit: No, no, that was a perfect way to end the show. That wasn’t to do anything like that. It was awesome. Jack Butala: Join us in another episode where Jill tells Jack when to end the show. Jack Butala: And to cut each other off. Jill DeWit: … for half of what it’s worth, and cut each other off immediately. Jack Butala: My knees are so bruised after these shows. Jill DeWit: From another state. Jack Butala: You are not alone in your real estate acquisition. I’m serious about that Jill. I’ve never seen risk in this ever, not once. I know you don’t either. Jill DeWit: No I don’t. No, I thought that was your wrap it up, and I’m like, “Oh that’s a beautiful way to wrap up the show.” You know? We just talked about the things. Now if you see some risk, you need to look at what you’re doing and maybe go buy some bonds. Jill DeWit: If you see this as risk, go buy some US government treasury bonds. Jack Butala: Treasury bonds are probably more risky than land. Jill DeWit: That’s why I said that. Jack Butala: If you had to go do something else for a living tomorrow, what would be so out of your comfort zone that you would just say, “Oh my gosh.” You know it’s good for you. You know that it’s going to be profitable and succeed, but it’s so out of your comfort zone that you just don’t do it because you’re I don’t know, for some reason. Do you have anything that comes to mind? Jill DeWit: Driving Uber. Driving for Uber. I don’t know. Jack Butala: Driving for Uber? Jill DeWit: I don’t know. Dude, a lot of people are doing that. Do you know how many people I’ve seen that are coming out of retirement to drive for Uber and Lift? Jack Butala: Just because they want to? Jill DeWit: Because they need the money, and it’s easy fast money. Jack Butala: Do they do okay? Jill DeWit: They can control their schedules, and they can go where they want, turn it off and on when they want. Jack Butala: Go to a different city or something? Jack Butala: That just strikes me as so unsafe. I don’t know why. I guess it’s the dad in me. Just people getting in and out of your car. Jill DeWit: But yet we use it all the time, but we use it. Jack Butala: Yeah, we use it, but people getting in and out of your cars and then sitting behind you. I guess, I don’t know, taxi drivers, it’s been going on forever, so it’s just probably me. Jill DeWit: Mm-hmm (affirmative). I don’t know. What would be so out of your comfort zone? Let’s put it on you. Jack Butala: If somebody threw a company at my face that was fully functioning, and doing well, and it was priced perfectly and said, “You really should buy this company,” actually I’ve done this a couple times, and it’s just not something I’m interested in, but I buy it anyway, and it fails, and I wonder why. It’s just because it’s not, I love software. I love software, I love real estate, and I love data. All three of those things are growing at a pretty rapid pace, and I just know it, but I’ve owned manufacturing companies and some other stuff, and not that they failed, they didn’t thrive the way that for whatever reason this type, using data to buy property, we just thrive at it. It’s not like we’re just, it’s profitable, we kill it. It would be if somebody said, “Here’s a manufacturing company that manufactures parts for Ford and [inaudible 00:25:03] ratings there, everything’s working great, and you should continue on with it, grow it, and make it better. That would be out of my comfort zone entirely. Jill DeWit: You love cars. Jack Butala: Yeah. I don’t know. If it’s not software based, I’m not sure I’d be too good at it. It would be out of my zone for sure. Information and inspiration to buy undervalued property.